We have a thing for Funfetti in our house. It has been on our list of cakes to make for quite a while, but we had to go through some trial and error to get this one exactly right. After several attempts, I present you a delicious, light, fluffy and fantastic version of the Funfetti cake. Heat the oven to 350 degrees. Dump one cake mix into a bowl. Add 1 cup of cake mix from the other mix and then save the rest of the second cake mix for another time. Combine all of the ingredients. Pour the mixture into a greased 10″ inch bundt pan. Bake for about 45 minutes until a toothpick comes out clean. Let cool for 15 minutes and then remove the cake from the pan. It is best to remove the cake from the pan right at 15 minutes, If you wait a shorter or longer amount of a time it can be hard to remove the cake cleanly from the pan. The perfect cake for the sprinkle lover in your life! Yum! I am drooling looking at these photos! 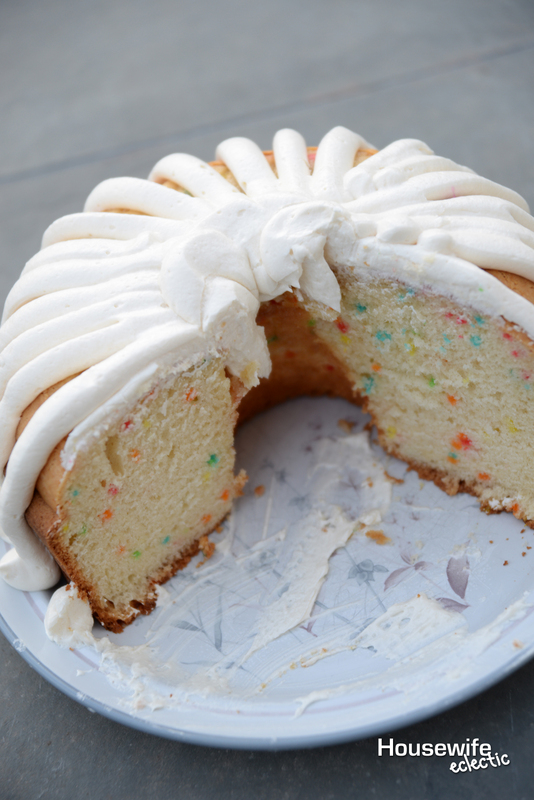 I love Funfetti and the frosting on this looks divine! I need to first buy a bundt pan (haha), but then I am going to make this! That sounds like a delicious cake. I am quite certain that my boys would just devour that cake in minutes. We love funfetti cakes, too. 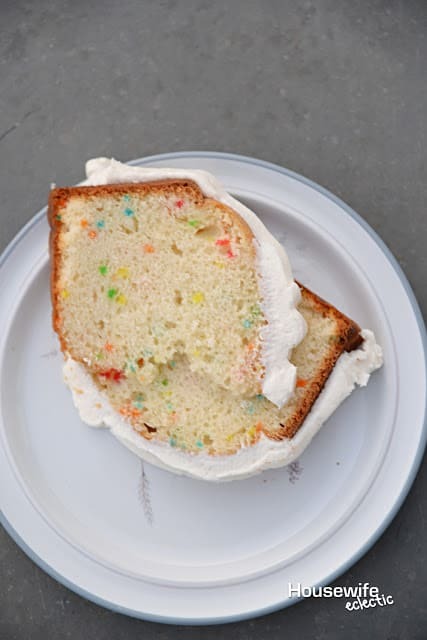 Come over to the blog, I have a lemon funfetti cake recipe that is amazing! Thanks for sharing! 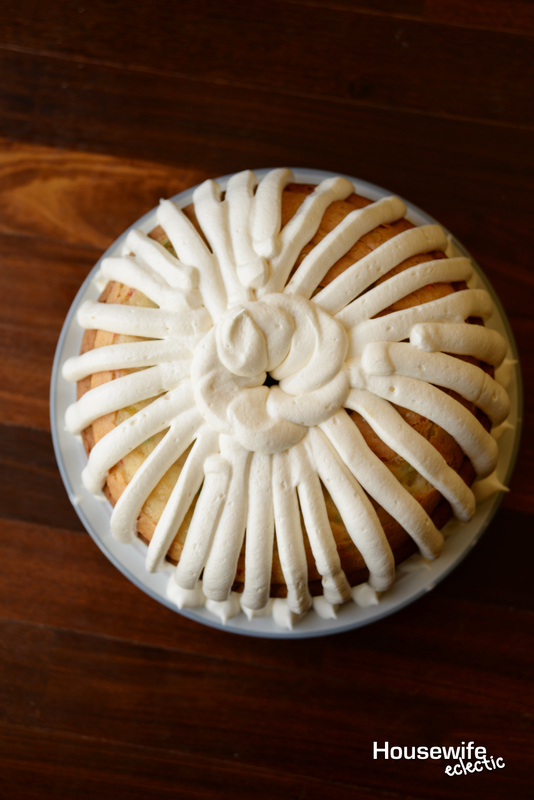 Right now I am craving something sweet and the bundt cake would do just the trick. I would love it with some sweet milky tea. This cakes looks so moist and delicious. I love anything with cream cheese frosting. My kids would love this. They love anything that screams funfetti. I might have to make this but maybe mini cupcakes. This looks so good! I'll be making this for my daughters birthday. I will have to attempt this! I think this would be great for a potluck at work! Omg, I have to make a cake for my youngest and he wants a cake filled with something. lol. I might make a bunt cake like this and fill it with jelly. This sounds so delicious and I bet the kids love it! Funfetti brings me back to being a kid. Birthdays always meant Funfetti cake!! Yum. It's been way too long since I've eaten bundt cake or any cake for that matter. It's hard to find gluten free cake that tastes good. You can't go wrong with fetti. I love funfetti cakes and cupcakes. They are always so festive. Cream cheese frosting is the BEST! My hubby and I were just "discussing" this tonight. He prefers whipped. He's crazy though. 😉 I think this cake would be good for my son's birthday in a couple of weeks. I'm also a big fan of funfetti, and, I might add, that their gluten free version is by far the tastiest gluten free cake I've tried. I am kind of obsessed with it. Im always picking just vanilla or chocolate cakes…. I really need to try a funfetti cake to change it up a bit! Its so cute! Thanks for this amazing recipe. Love it. Will try this soon! This looks delicious! I need to get a bundt pan! I see so many fun recipes using them…love cream cheese frosting too – one of my favorites! I love the frosting design. Funfetti is one of my favorite go-to cakes. It is always so festive looking. Oooo this cake sounds absolutely delicious!!! I'm loving the frosting design as well! So need to make one. Funny I'd never heard of a bundt cake till I came to the USA, but I've never seen a funfetti cake either. Cakes aren't really my thing, I go for more potatoes and main course instead. I've been having a craving for cake frosting this whole week. This one looks especially yummy since it is made from scratch and probably tastes like heaven. mmm, funfeti! This looks so good! This is on my list of cakes to make. 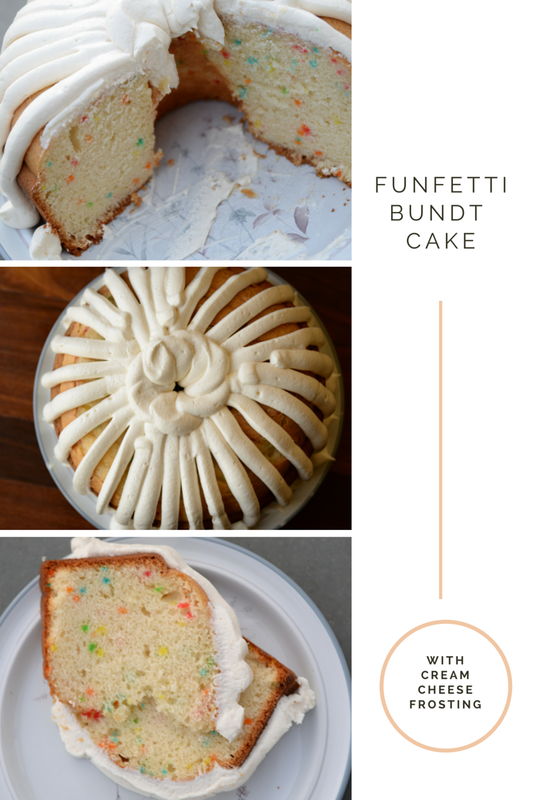 I used to always ask my mom to make me a funfetti when I was little, but I make my cakes from scratch now, so again, this is a MUST on my list! I love all things funfetti! Thanks for sharing at the Monday Funday Party! !